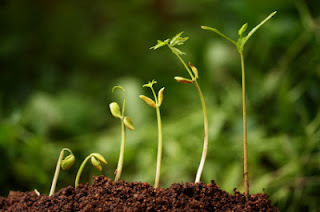 I plant seeds and sit to watch them grow...then I wish for them to grow quickly, and pretend that I am being patient. Then I ask sternly...then I scream: Grow! Can you imagine a flower growing that way? Silly, I know. Although I have never actually screamed at the seeds of a flower to grow, I have, somehow, screamed at other seeds I have planted. Whenever I have, not only do the seeds not grow any faster than nature would have them grow, I stunt their growth. I sometimes halt it altogether. I do this because I get excited. I open gifts on Christmas Eve, never on Christmas Day. I tell everyone my good news as soon as I know. I buy gifts in anticipation of a celebration. I blurt out Surprise! before the lights come on. This is just to name a few of the instances in which my impatience is born out of excitement. I also get impatient because of fear–fear of losing an opportunity, fear of missing something, fear of lack, fear of being hurt, etc. When in fear, I sabotage the outcome. Attitude is part of this. Not taking the time to think things through is another. I am always sorry after I act impatiently and spoil what could have been. Impatience also makes me settle for less than perfect. Instead of waiting for the seeds I have planted to grow into the right job or the right opportunity, I jump at the first chance. The seeds tend to stop growing after that. I have planted seeds that I have not screamed at yet. I am hopeful and already thankful for the wait. I see the soil stirring just a bit each day with seedlings making their way up. 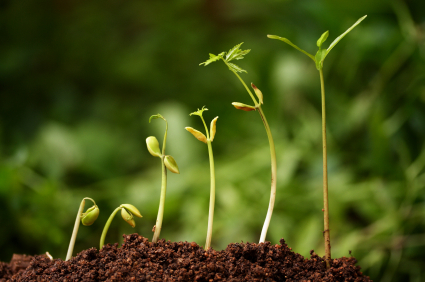 Today, I plant more seeds–seeds of service, work, friendship, love–and then I trust...and then I wait.